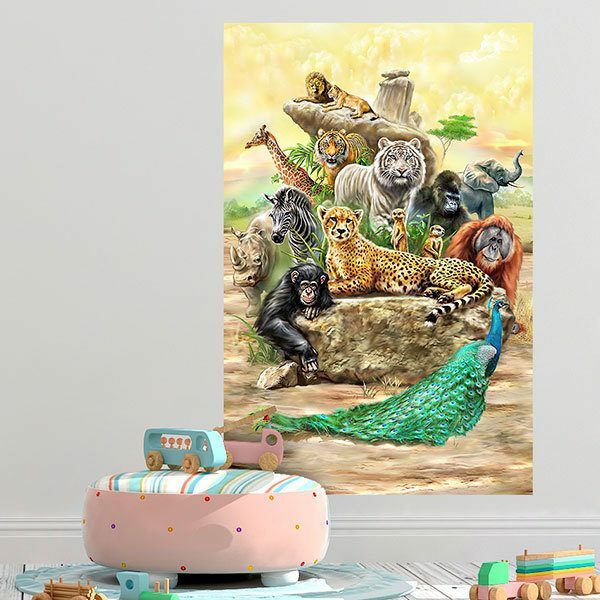 Adhesive vinyl poster Exotic animals. 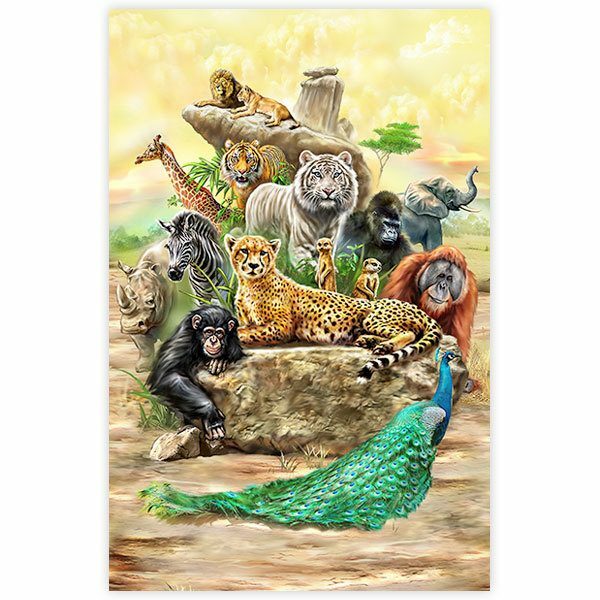 Fantastic illustration of several wild animals grouped in total serenity. There is a peacock, a leopard, several monkeys, a zebra, a rhinoceros, several tigers and lions, a gorilla, an elephant, a giraffe and up to 2 possums. 10.24 x 15.75 in. 12.99 x 19.69 in. 15.35 x 23.62 in. 18.11 x 27.56 in. 20.47 x 31.50 in. 23.23 x 35.43 in. 25.98 x 39.37 in. 28.35 x 43.31 in. 31.10 x 47.24 in. 33.46 x 51.18 in. 36.22 x 55.12 in. 38.58 x 59.06 in.